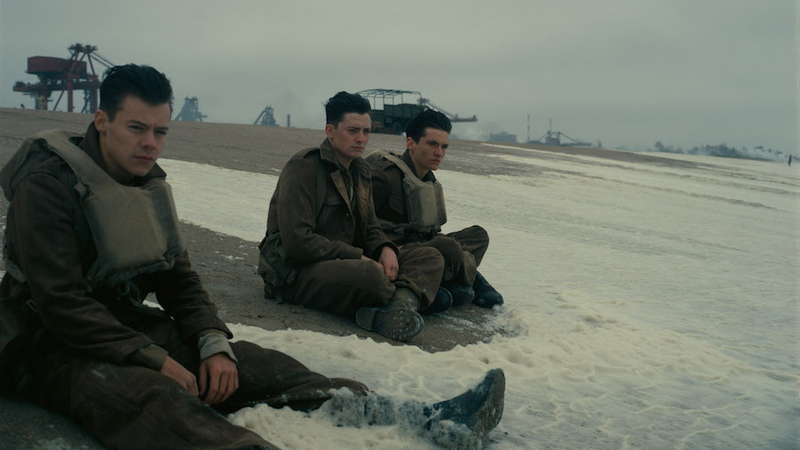 If your summer has lacked tension thus far, that’s easily rectified by watching Christopher Nolan’s new World War II film, Dunkirk, which is 106 minutes of unrelenting pressure that leaves the audience emotionally exhausted, pummeled, and bruised in the theater. Take a good deep breath before it starts, because there’s not much space for air during the movie. A feat on non-linear storytelling and a marvel of an achievement in editing, The Dark Knight director recounts Operation Dynamo, also known as the “Miracle of Dunkirk.” Penned in by German forces on a French beach, under the looming specter of an imminent attack, a cobbled together fleet of 800 boats, many of them civilian vessels, evacuated more than 300,000 soldiers across the English Channel. Nolan splits the action into three separate, but interlocking threads. 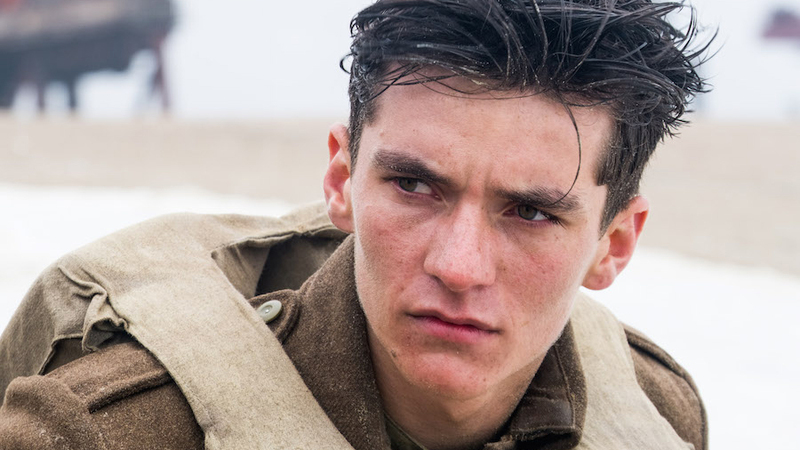 One focuses on a trio of soldiers (Fionn Whitehead, Harry Styles, and Aneurin Barnard) attempting to find a way off the beach. A second revolves around one of the civilian boats navigated by Mark Rylance, Tom Glynn-Carney, and Barry Keoghan. 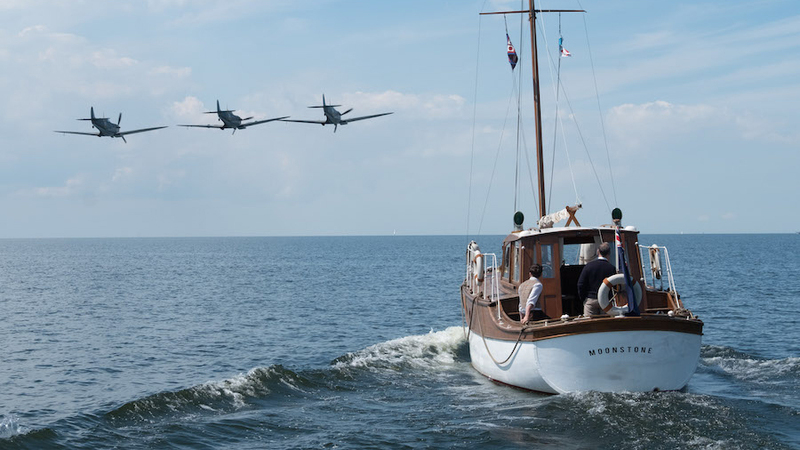 The third follows Tom Hardy as one of the few pilots providing air support. 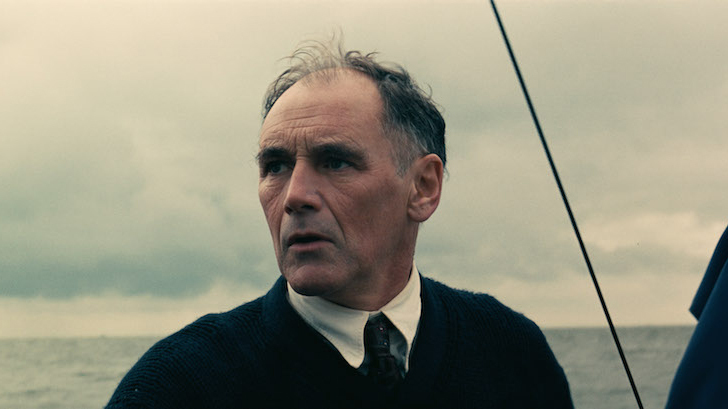 With a remarkable touch, Nolan, who also wrote the script, layers the stories, staggering the timelines and staging moments again and again and again from three different perspectives—land, sea, and air. The effect is not so much a repetition as an escalation, a cumulative sensation that pushes the audience closer and closer to panic with each successive pass. 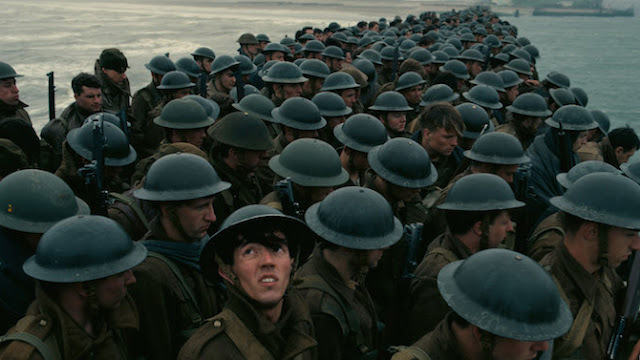 It’s only a minuscule fraction of the real thing, but Dunkirk creates a visceral, palpable urgency. Despite being largely bloodless, the film captures the chaos and disorientation of combat. Eerily quiet moments erupt in unseen hails of bullets where all the characters can do is run and pray they’re not in the line of fire. Dialogue-free for long stretches, and with almost zero backstory for any character—Rylance gets a touch at the very end, but that’s all—Dunkirk proves an exercise in immediate narrative. Hell, Tom Hardy has a mask over his face for all but his final scene, that’s how little concern the film has for anything outside of the present. It doesn’t matter where they came from, who’s waiting at home, or how they found themselves in this precarious situation. All that counts is the authenticity of their emotions in the here and now, in this one moment in time. What little dialogue exists has a largely utilitarian function. Rylance and Kenneth Branagh, who spends literally all of his screen time standing on a pier, unleash snippets of exposition when the narrative requires. As one escape route after another evaporates in their hands, the soldiers only discuss what’s next. Hardy never says anything that’s not related to his airborne mission aside from wishing luck to his wingman about to ditch his plane into the drink. In their reactions, their responses, not their words, we see who they are. Despite knowing little about them, there’s the larger sensation of familiarity. Bravery, cowardice, duty, compassion, the character’s authentic selves come out under the pressure of dire circumstances. We don’t need to hear all about the lives of these men because we see them laid bare before us, a true testament to their individual and collective performances. Hans Zimmer’s score propels the action forward, alternating frantic strings and pulsing, throbbing orchestral numbers that provide the tension with a razor sharp edge. It’s not enough to be crushed under the constant squeeze, Dunkirk feels the need to eviscerate you sonically as well. Working once again with cinematographer Hoyte Van Hoytema (Her, Interstellar), Nolan fashions a truly special visual spectacle. Soaring aerial combat scenes provide a sense of elegance and grandeur. Handheld eye-level cameras give the scenes on the beach a raw intimacy and immediacy that place you right there with the grunts. And if you have issues with claustrophobia, you may well have a primal reaction to scenes of soldiers crammed into the underbelly of various ships. 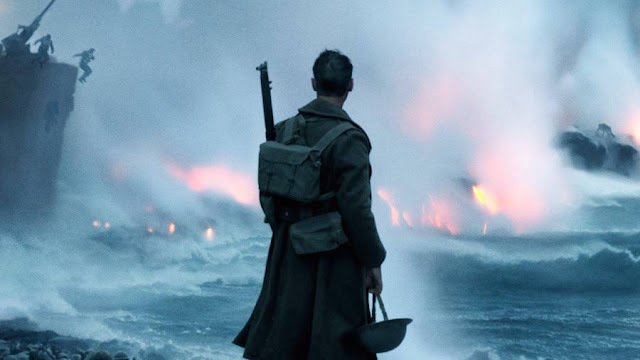 Much has been made of Nolan’s intentions to release Dunkirk in IMAX 70mm. I always support the idea of seeing art the way the artist intended, if possible. While Dukirk will receive the widest 70mm release in years, that’s simply not an option for many people. I’m sure seeing it as designed presents a phenomenal experience. I certainly want to see it in that format, but didn’t have the opportunity. Still, the result was a remarkable, physically moving experience.